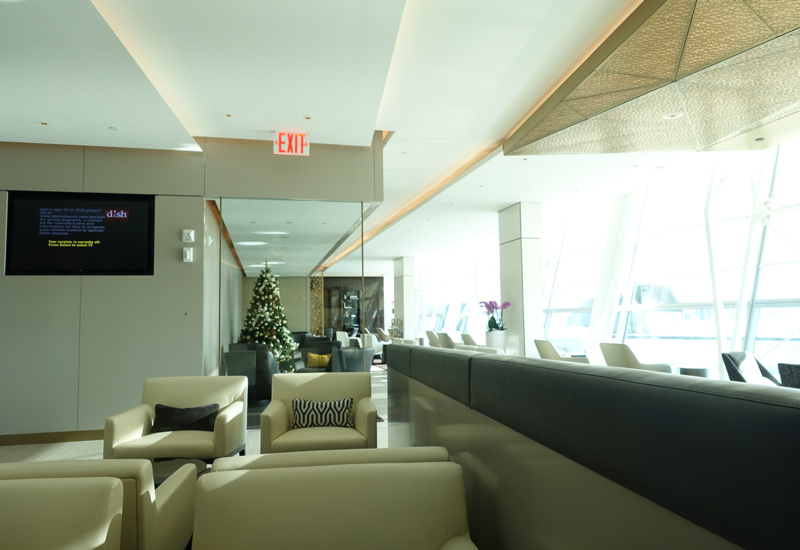 You'll have access to the lounge if you are departing New York JFK and flying Etihad Business Class (Business Studio on the A380), Etihad First Class, including Etihad First Apartment on the A380, or in the Etihad Residence on the A380. Naturally some readers will wonder why I was able to access the lounge as an arriving passenger, coming off our Etihad First Apartment flight from Abu Dhabi. This is not normally allowed, but the lounge manager was kind enough to make an exception and let me take a shower in the lounge, since the shower wasn't working onboard. 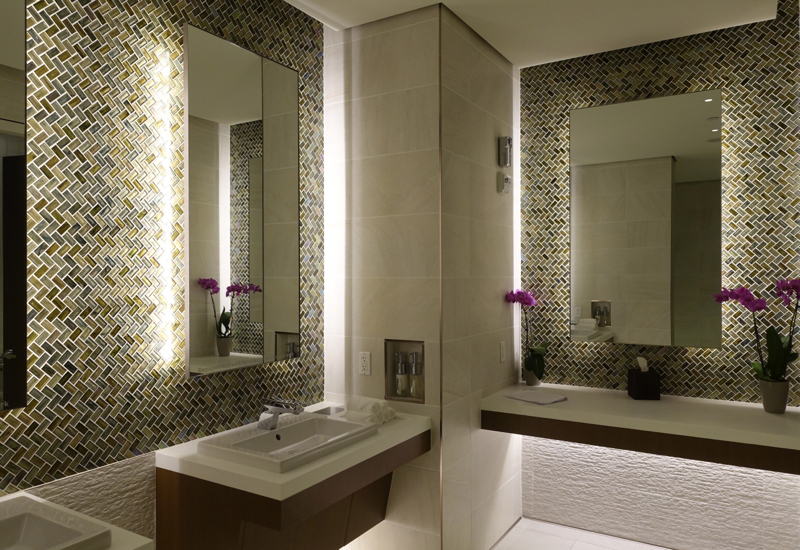 The head flight attendant had told me I could take a shower there, but in fact there had been no communication of this with the lounge, which initially refused entry, since normally arriving passengers, even from Etihad First Apartment, are not admitted. 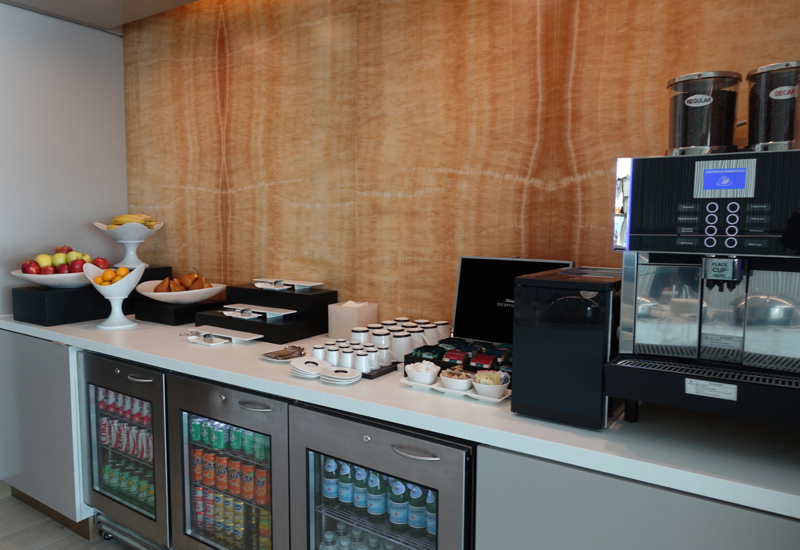 Bottom line: the lounge is for departing Etihad First and Business Class passengers only, and opens about 3.5 hours before flight departure. 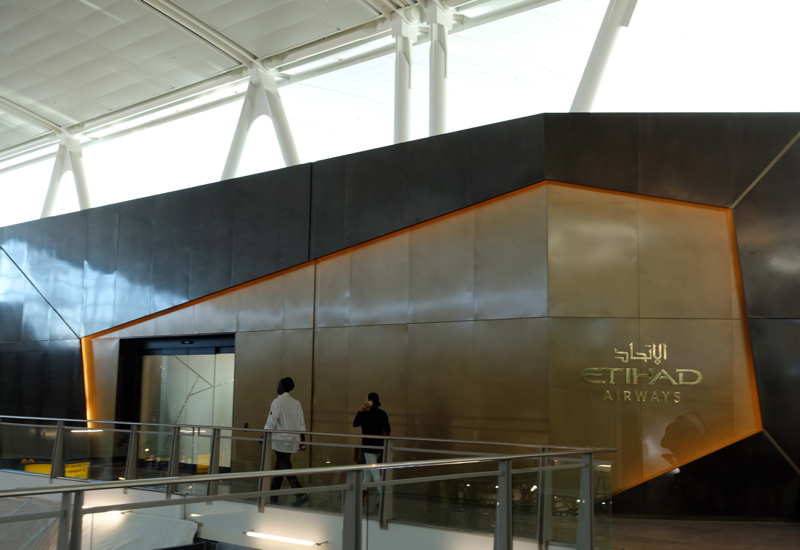 The first thing I noticed upon entering the Etihad New York JFK lounge was the bar, which may seem ironic for an airline of a Muslim country, where locals don't drink alcohol. 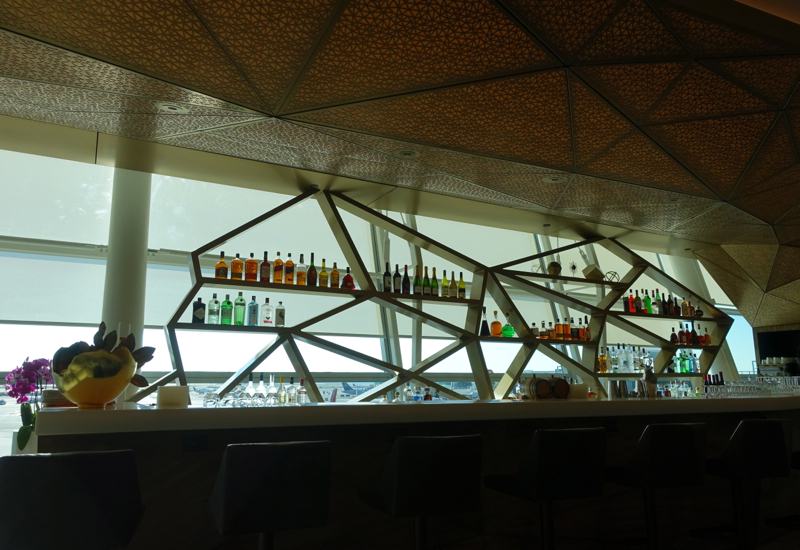 But the bar design is striking, with the sun lighting up the colored liquors on offer. I just hope those particular bottles are for display only, since I can't imagine that the sun and warmth is good when storing these spirits. In addition to barstool seating, there's plenty of leather armchairs (apparently the furniture is by Boss). Some of the seating gets very warm and sunny, so would be better suited for indoor sunning than for working, although there are more shaded areas of the lounge for those hoping to get work done. 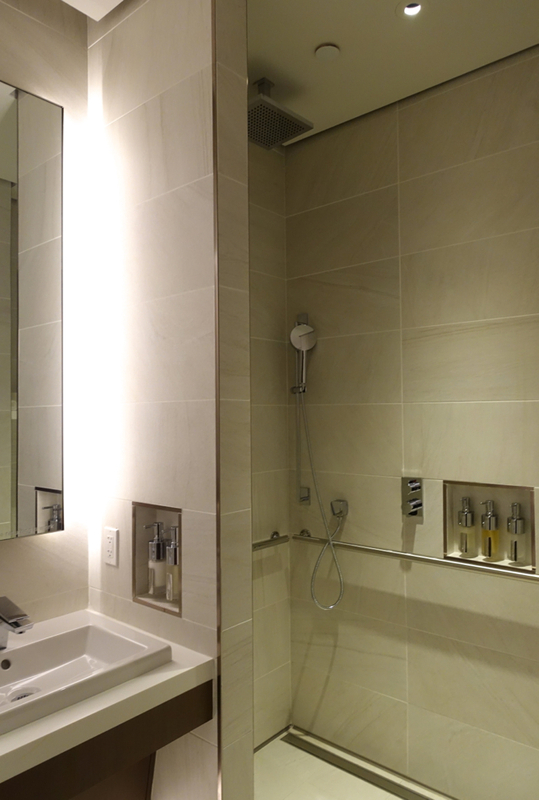 The shower itself is a nice rain shower, although a regular shower head is also there if you don't want the rain shower. The water pressure was excellent, and of course unlike onboard you're not limited to 4 minutes of water. 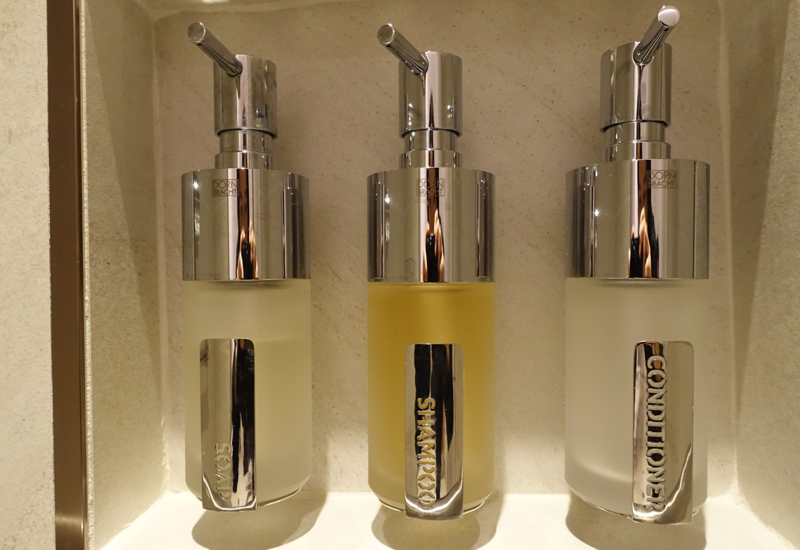 Bath products were unbranded, although the holders were by Dornbracht. 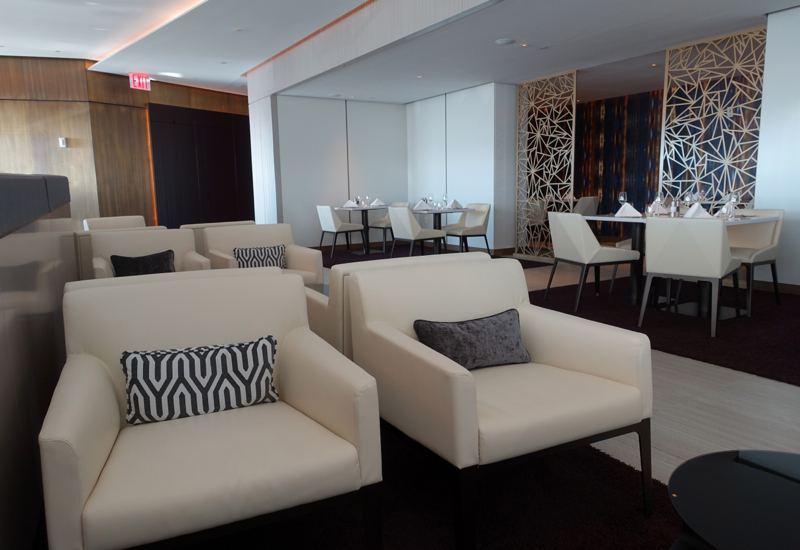 The Etihad Premium Lounge at New York JFK isn't huge, but is quite stunning and beautiful in design. On the one hand I loved all the natural light flooding into the lounge and views of the tarmac, but I wouldn't want to be stuck in one of the chairs by the windows if I had to get work done, due to how hot it seemed there and issues seeing a computer screen with the glare. 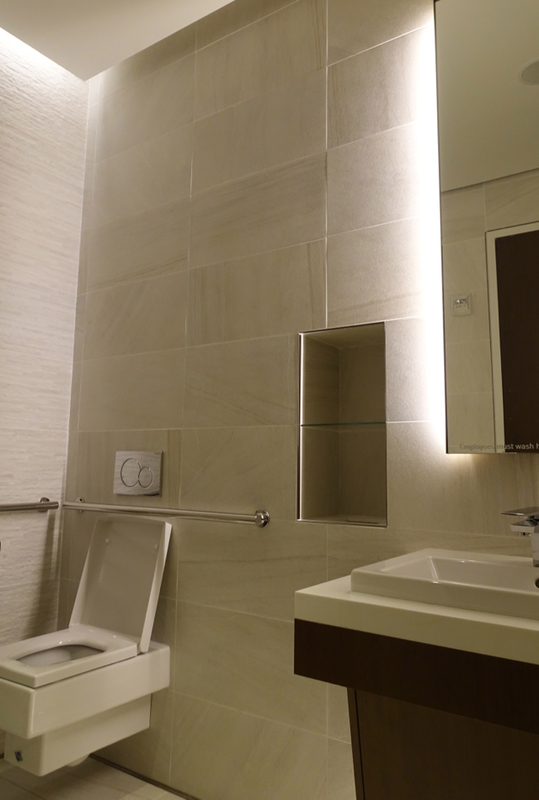 Certainly I appreciated the exception made by the lounge manager in permitting me to use a shower room due to the non-working shower on my Etihad First Apartment flight. 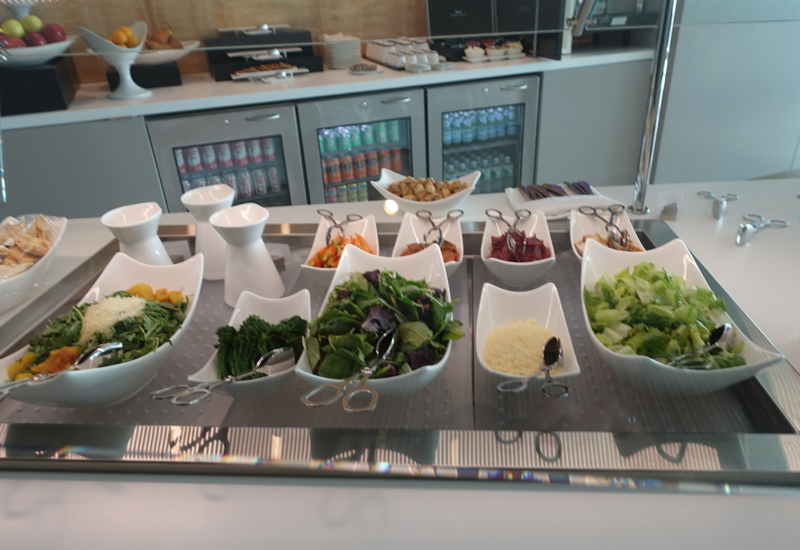 If I visit the lounge prior to a departing flight I'll have to report then on the menu and food offerings, but I would expect them to be in line with Washington Dulles, where I was very pleasantly impressed with the quality of the a la carte menu options, particularly as the lounge is open to both Business Class and First Class passengers.